Entertainment to suit all ages- Why fun casino hire is the best party option. There are many different form of party entertainment- but no other one can be suitable for ages 10-90 and give 3 hours of interactive entertainment. When a family, or a company is planning a party it is nearly impossible to find something that everyone will both enjoy and take part in. We have been booked by the same family for 18th,40th and 70th birthday parties- and at each all ages were fully involved. Best idea for a company party? – A band/disco etc will never be popular with everyone- with us it is the perfect “mingle and interact” combination. The boss and the junior can share a table, the aunt and nephew can play along and chatter etc. Our party casino entertainment encourages involvement, conversation, humour and most important enjoyment. 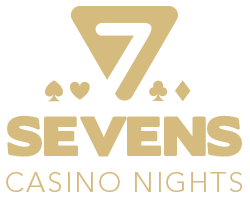 A guest or host can learn to spin the roulette ball, or to deal the cards during the evening of risk free fun. Add in that there is always a great photo opportunity to be had with our lovely tables and you have the most guaranteed package to keep party guests happy. Being able to come and go from the tables at any time means our event entertaining is informal, totally stress free. A play-off between the top players round off the night and gets everyone briefly together before we finish and award the top player a prize.